Four of the five Nycticebus (slow loris) species are listed by the IUCN as vulnerable, and the Javan slow loris (Nycticebus javanicus) is listed as endangered, due to habitat loss and overexploitation. In collaboration with the Thai non-profit, FREELAND, the EWCL Slow Loris Group carried out an investigative training program for Thai and Lao law enforcement to combat the rampant illegal trade of the slow loris species in Southeast Asia. The training was conducted in the slow loris trade hub of Pattaya, Thailand in March of 2012. The training supported and empowered eleven officers responsible for enforcing wildlife laws and included technical training from former enforcement officers on investigation strategies and tools, and specific information on slow loris identification, handling, and deposition of confiscated animals. The workshop was hosted and facilitated by FREELAND along with the EWCL Slow Loris Group, who specifically created wildlife trade educational materials, presented on the slow loris, and provided logistical as well as funding support through grant writing. The training resulted in the arrest of two slow loris traders and local media covered the arrest. Following the training, the EWCL Slow Loris Group worked with Dr. Anne Nekaris, recognized loris expert based out of the United Kingdom, to develop social media materials for use by the Little Fireface Project, a public awareness and advocacy project committed to stopping the illegal trade of lorises. Increased awareness and knowledge about proper law enforcement procedures and enforcement specific to the local and regional illegal wildlife pet trade as measured by surveys; the law enforcement training conducted by law enforcement professionals from partner FREELAND gave participants training and practice in surveillance, case development, evidence collection, handling of informants, intelligence analysis, and relevant laws. Increased awareness and knowledge of the slow loris conservation status, legal protection, and biology as measured by surveys; the presentation conducted by the EWCL Slow Loris Group biologist improved knowledge of slow loris identification, confiscated animal care, legal protection, and conservation status as measured by post-training course evaluations. Increase in enforcement of existing laws as measured by the number of arrests of slow loris dealers and collectors in Pattaya; the training lead to the immediate arrest of two slow loris traders in March of 2012 in Pattaya and information on the trade network operating in eastern Thailand. A replicable training workshop format with accompanying materials that can be applied in future illegal wildlife trainings in multiple slow loris range states; all materials for FREELAND trainings can be applied to future illegal wildlife enforcement trainings in southeast Asia. Investigative training program for eleven Thai and Lao law enforcement officers to combat the rampant illegal trade of the slow loris species in Southeast Asia- Pattaya, Thailand, March 2012. Presentation about slow loris identification, confiscated animal care, legal protection, and conservation status (adapted from Nekaris and Parrish). (Slow Loris Final Presentation. Hand-outs for placement of confiscated animals and immediate post-confiscation care, used in training. (PDFs EWCL Initial Care, Placement of Confiscated Animals. The team worked with a loris scientist and artist in Germany to design a logo for use on products and apparel. The follow-up project focused on social media outlets as an inexpensive and effective medium to deliver slow loris information. EWCL Slow Loris Group wrote Facebook posts for the Little Fireface Project. FREELAND Foundation (previously known as WildAid Foundation (Thailand) and PeunPa Foundation) is an international organization, based in Bangkok, Thailand, dedicated to stopping human and wildlife trafficking. Founded in 2000, FREELAND works in partnership with governments, communities, corporations, and other NGOs worldwide. Its mission is to make the world free of human slavery and wildlife trafficking by increasing law enforcement capacity, supporting vulnerable communities, and raising awareness. FREELAND specializes in law enforcement training that boosts capacity to protect ecosystems and prevent the unsustainable poaching of wildlife in Southeast Asia. FREELAND is the lead implementing partner of a five-year US Agency for International Development funded program called “Asia’s Regional Response to Endangered Species Trafficking” (ARREST). ARREST builds on the progress and lessons learned from the successful 5-year program led by FREELAND to develop and support the ASEAN Wildlife Enforcement Network (ASEAN-WEN). The program fights illegal wildlife trafficking in Asia by 1) reducing consumer demand; 2) strengthening law enforcement; and 3) strengthening regional cooperation and anti-trafficking networks. ARREST unites the efforts of the member states of ASEAN, China and South Asia, NGOs, and private sector organizations. The International Fund for Animal Welfare’s (IFAW) mission is to create a better world for animals by engaging communities, government leaders, and like-minded organizations around the world and achieving lasting solutions to pressing animal welfare and conservation challenges-solutions that benefit both animals and people. IFAW promotes partnerships with and among governments to create an effective wildlife enforcement response in-country. In collaboration with national governments, IFAW organizes and conducts wildlife trade enforcement seminars to train relevant officials in the technical aspects of wildlife enforcement. World Wildlife Fund (WWF) is building a future where human needs are met in harmony with nature. By 2020 WWF will conserve 15 of the world’s most important natural places and significantly change global forces to protect the future of nature. WWF experts are active at every level—from field work to government—conserving the largest tropical rain forests, the most remote areas of the planet, and the world’s most endangered species. The MSc Primate Conservation course at Oxford Brookes University is a pioneering program providing scientific, professional training, and accreditation to conservation scientists. Oxford Brookes is home to Dr. KAI Nekaris, the recognized world expert on slow loris. 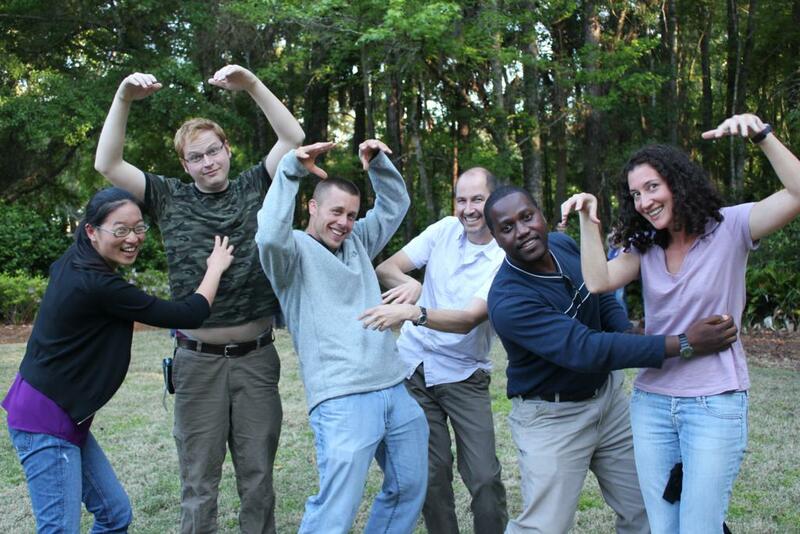 Several of Dr. Nekaris’ graduate students are involved in slow loris research in range countries. Dr. Nekaris manages the Little Fireface Project, dedicated to raising public awareness and combating the illegal trade of slow lorises. Helga Schulze is based at Ruhr-University in Germany and is the compiler and illustrator for the conservation database for lorises and pottos. Coverage on FREELAND website immediately after arrests. Slow lorises are nocturnal, arboreal primates ranging from Northern India to the Philippines Five species of Nycticebus are now recognized and evaluated by the IUCN, with four of the five species listed as vulnerable, and the Javan slow loris (Nycticebus javanicus) listed as endangered. All five slow loris species are threatened by habitat destruction and over-harvesting for the illegal pet and traditional medicine trades. Nycticebus species are the most commonly encountered protected primate in wildlife markets across Southeast Asia. The frequent occurrence in wildlife markets and low encounter rates in the wild resulted in all five species being transferred to Appendix I in CITES in 2007. Within Thailand, centers of the illegal pet trade are located in transportation and tourist hubs, such as Phuket, Bangkok, and Pattaya. 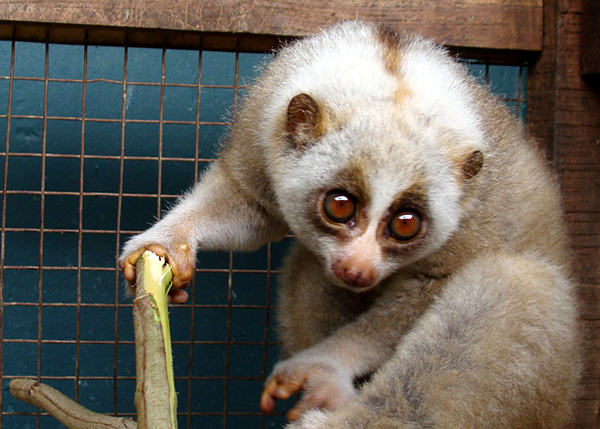 The slow loris trade demand is driven by both range-state and international pet markets. The international demand is fueled by viral YouTube videos featuring slow lorises holding umbrellas, eating rice, and being portrayed as fun, adorable pets. In reality, slow lorises are very difficult to care for in captivity and are the only known venomous primate in the world. The Little Fireface Project, created and managed by loris expert Dr. Anne Nekaris, works to educate and publicize the negative effects of the illegal pet trade on slow loris individuals and wild populations. The project and its partners are engaged in pressuring YouTube to remove videos of illegally traded lorises. To help support loris conservation go to www.nocturama.org.